Children of Hon. Nesta Douglas-Pennant and Colonel Sir Edward Courtenay Thomas Warner, 2nd Bt. Her married name became Cochrane. Her married name became Foster. Her married name became Cochrane. 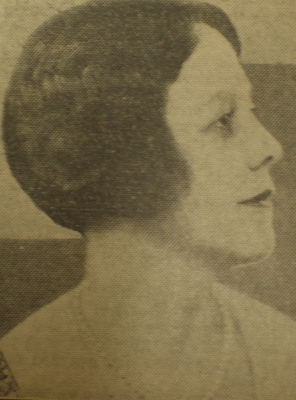 After her marriage, Millicent Agnes Mary Duckham was styled as Baroness Cochrane of Cults on 17 January 1951. He was educated at Eton College, Windsor, Berkshire, EnglandG.1 He was styled as Viscount Stormont between 1971 and 2015.1 He succeeded as the 12th Lord Balvaird [S., 1641] on 21 October 2015. He succeeded as the 8th Earl of Mansfield, co. Nottingham [G.B., 1776] on 21 October 2015. He succeeded as the 9th Earl of Mansfield, co. Middlesex [G.B., 1792] on 21 October 2015. He succeeded as the 14th Lord Scone [S., 1604] on 21 October 2015. He succeeded as the 14th Viscount of Stormont [S., 1621] on 21 October 2015. Her married name became Mooney.1 From 23 March 1974, her married name became Erskine. After her marriage, Mary Kirk was styled as Countess of Mar in 1993. Children of Jocelyn Mary Beevor and Sir Edward Courtenay Henry Warner, 3rd Bt.